Those of you who’ve been following EverWriting for a while may remember my blogs about growing and nurturing a pomegranate plant which I related to the process of writing Salsa Dancing with Pterodactyls. I actually had not eaten a pomegranate for years and years! When I was a girl, my first taste of this wonderful fruit (some believe to be the original ‘forbidden fruit’ of the Garden of Eden variety) gave me hives! As the ruby fruit was the only oddity in our daily composition at the time, pomegranate got the blame. I stayed away until I was well into adulthood. My next encounter was after I had three children with no untoward results at all. Since I had already had good luck with growing apple trees from seeds germinated from the Braeburn variety and oaks from acorns my children had gathered at school, I threw some pomegranate seeds in potting soil and behold, I was the proud horticulturalist of a plant usually only grown in mediterranean climes. This year, I bought and ate my first pomegranate after another long long dry spell and, though I have only a balcony and a few potted plants, I attempted to repeat my previous effort. As far as I know my first pomegranate is still growing in my daughter-in-law’s care but having one of my own again felt right. I have a number of lemon bushes from seed and a pomegranate was a natural step. 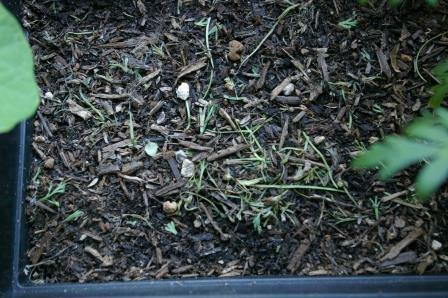 Of the twenty or so seeds I planted, three sprouted and one survived and the secondary leaves have sprouted. In many ways, at least in my quirky mind, there are similarities between storycraft and horticulture/gardening. If we think of an idea for a story, we often think of it as a seed. We nurture the idea/seed with effort in the way of research in the process of germinating the story, as the seedling has germinated from its pod and thrown out roots below and first leaves above. Those first leaves and roots provide the nourishment to grow in the same way our stories grow from experience (roots) and imagine (leaves). My previous experience with pomegranates coincided with the writing and successful publishing my multicultural, interracial novel Salsa Dancing with Pterodactyls. 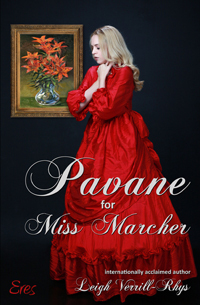 This tiny plant coincides with my first American history novel, Pavane for Miss Marcher, which examines the aftereffects of the American Civil War on those who fought, those left behind and process of healing the divisive wounds. with a very sharp secateur, you snip away the dead parts of plants so that the plant no longer pumps energy into the dead area. This somewhat similar to ‘phantom limb’ sensation. Since my secateur is buried in storage boxes awaiting the acquisition of a real garden, a pair of scissors or sharp knife will have to do. When I did have a garden, I had secateurs and loppers and hedgers. Not to mention rakes, forks and shovels, trowels and pitch forks. Sigh. Alas, empty plastic soup containers and damaged tablespoons serve those purposes these days. 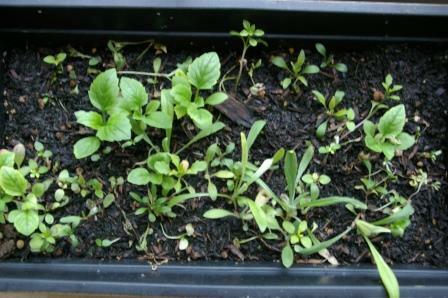 As you saw from one of my earlier articles, some of my wildflowers aren’t thriving. Rather than allow them to suffer and sap energy from those that are, whether part of the same plant or in close quarters, it’s best to pluck, snip and sever so the negative energy doesn’t influence others. I am what Ian McEwan once termed an ‘organic’ writer. That doesn’t mean I only use organically produced paper. It’s a writing process, sometimes called a ‘pantser’. It is the only way I can write. An idea comes to me and I follow it to its natural conclusion, one word, one scene, one character at a time. For instance, my most recent publication, the novel-by-installment, Nights Before, began life as a word on the page. Another followed. A character appeared and another. 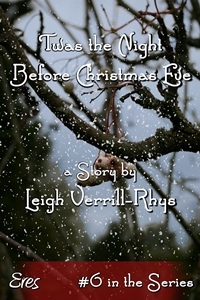 Before long, I had a story I wanted to write. 64K+ words later, I had a novel, published over the stretch of a year. Every installment was a surprise to me and pure pleasure. More than any other reason, writing for my own pleasure is paramount. The same holds for gardening or any of the other pursuits to which I offer my time. If I’m not happy, the book doesn’t happen. There is one drawback. Every word and scene doesn’t rate publication. And every one is a reason that saps energy from the body of the story in the same way that a dead flower drains energy from the plant. It is natural for flora to make every effort to survive. A dead part draws the attention of the plant to surge energy into the dead area to revive it. It is natural for the writer to pour energy into making a dead scene work. In the words of one of my college professors, “Kill your darlings.” Deadhead. Sometimes, I get carried away with tangents: a perfect example of energy wasted. Not to mention paper and ink. But that is the allure of the organic, the narcotic of writing. The words flow and you go with it. The next best thing to the sweet sensation of writing anything that comes into your head, is the pleasure of getting rid of the dead weight of excess. 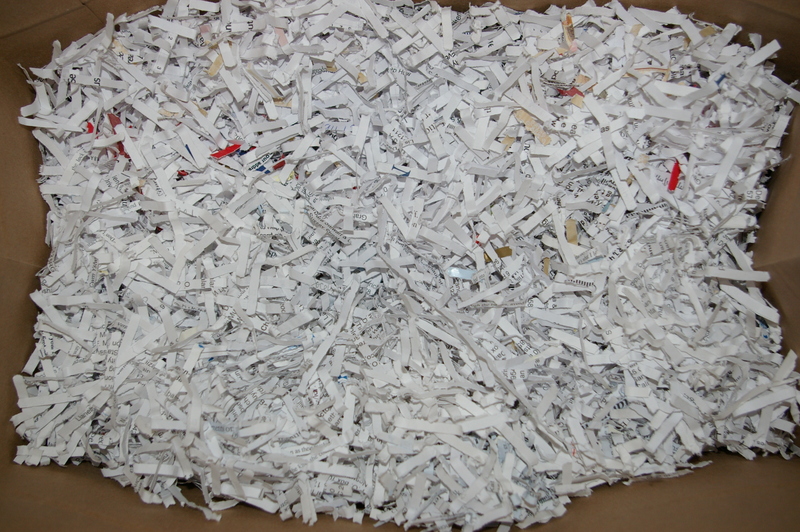 Fortunately, shredding and recycling eliminates the guilt of wasting paper. Once I have finished a story, the process of shredding the manuscript is a ritual finalizing its publication. Along with the shredding goes all of the false steps, the dead ends and the tangents. With that brutal cut, I am free to create anew, without reference to material that dragged my writing efforts offtrack, rejuvenated in the same way that flowering plants are boosted by the loss of spent blossoms. I’m wondering if the same works for orchids. If you’ve ever traveled with children, you have a good sense of what anticipation means. “Are we there yet?” repeated a gazillion times from the moment the car door is shut at the front door of your house until either they are worn out or your destination is reached. Anticipation is that state of excitement when you know something will happen and you want that something to happen. You have prepared, packed your bag and started on the road, literally or figuratively. For a writer, that’s hitting the send button (nowadays) on the email that will deliver your completed, edited and already acquired work to the publisher. Your job is done. Now, you wait. For the cover proofs; for the galleys; for the proofreader; for the copy editor; for the continuity editor; for the marketing department and at last, you have a release date. There is only this one last, sometimes long wait. Through it all, you are anticipating the publication of your book. Anticipation for the entrepreneurial author is different – it’s all on your shoulders and that has its own rewards. If you have read my posts before, you know I often use gardening as an analogy for the process of writing. My most recent was Gardening in the City – my contribution to the health and well-being of the birds and bees, as well as memorials to five members of my immediate family who have died, three within the past year. In that post, I included photographs of my growing garden of which I had high hopes, anticipating the arrival of the critters the flowers were intended to help. In the same way, I had the pleasure of anticipating the publication of my first novel, Wait a Lonely Lifetime. In the case of this book, my anticipation was short, 18 months, in comparison to that of some of my colleagues who received publication dates at least two or three years ahead. My anticipation was cut short when my publisher brought forward the release date by two months. Even that seemed an eternity – exactly the way children anticipate a 30 minute journey as a lifetime! All too soon, the novel was in my hands, the launch was over and my royalty advance was paid into my bank. Sometimes, anticipation ends in disappointment – a flat tire, engine failure, the amusement park is closed, the publisher goes out of business, your editor loses credibility, your book is postponed or canceled. Or the critters for which you planted hundreds upon hundreds of seeds, nurtured, watered, watched and waited for the first signs of growth are not the critters that benefit from your efforts. Anticipation is the important part of the equation, regardless of results. Anticipation gives you something to look forward to, after a lot of hard work and preparation. Anticipation lasts; gratification is momentary. Anticipation enlivens; disappointment is short-term. Anticipate without fear. Poppies nourish all kinds of varmints. You can always plant again. What a difference a day can make! 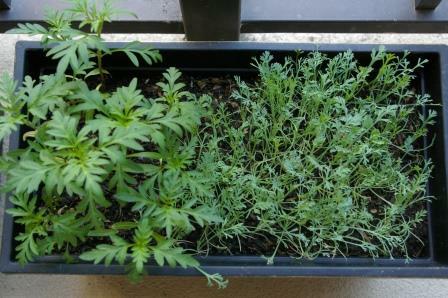 This is a definite attack to utterly devastate the California Poppy population on my balcony. There are no signs of snails or slugs. If you look closely, you might see a few hardy feathery fronds hanging on for dear life. That is one of the joys of vegetation. If there’s life, there’s life. When I was a teenager, my mother asked me to help her in the garden with weeding as part of my contribution to family life. Chores were bad enough, but weeding was about the worst on any Saturday. Chores were a part of being a member of the household and I did my share, unless it was outside crouching around the flowerbeds, dodging worms and insects of all sorts. Not to mention the dirt. How things change. When I had a place of my own, a garden became a worthy pastime. 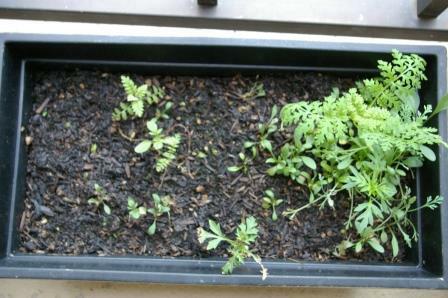 At that stage, I was most interested in growing vegetables, never mind the dirt and worms. Worms are good and I had no problem picking them up, cherishing and being grateful for them. 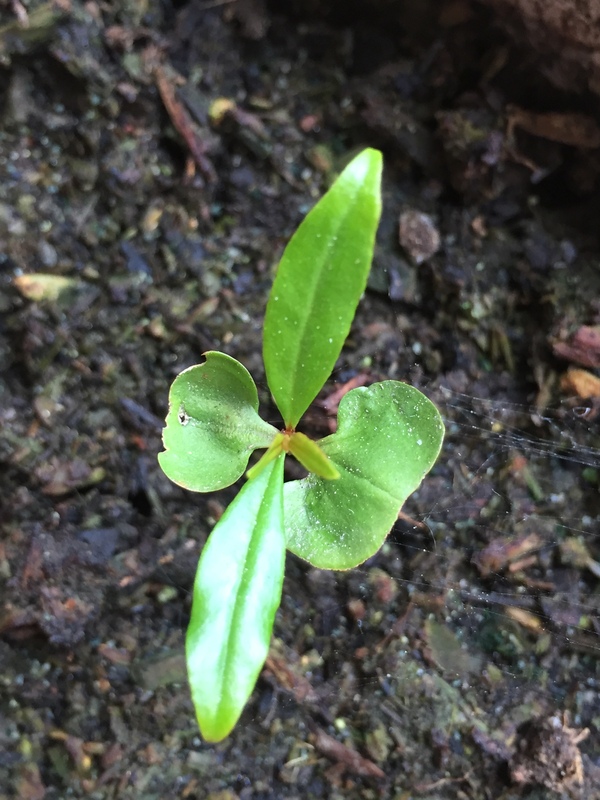 If you have read some of my earlier articles about Pomegranate nurturing, you will have an idea of how I have connected growing plants with my writing, such as the article, Compost. I even connected gardening, children and my writing when I was still able to entice my two eldest to love helping Mommy. Now I live in an apartment in the city and have left my garden, my pomegranate and compost to the care of others. Two years later, I’m caring for another garden — on a much smaller scale. The inspiration for this garden was as a tribute to many beloved members of my family who are no longer with me. I have written about some of them here. My father was the subject of an article about learning life lessons, as was my sister-in-law. My mother is a constant feature and undercurrent. This year, the deaths of my only brother and one of my nephews inspired me to plant a living memorial to all of the people who are gone from my life. 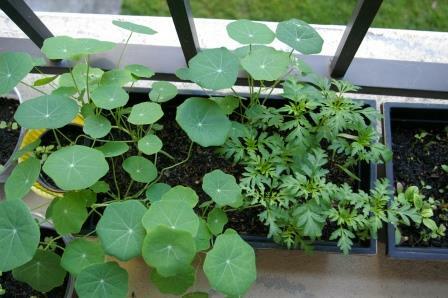 The first photo is of Nasturtiums, in memory of my father. Nasturtiums are for patriotism in honor of my father’s service in the U.S. Army and his bravery in the face of great disappointment and ill-health. The second photo is of California Golden Poppies, in memory of my mother. Poppies are for nurturing in honor of my mother’s dedication to her children and so many other children for whom she cooked in school kitchens. 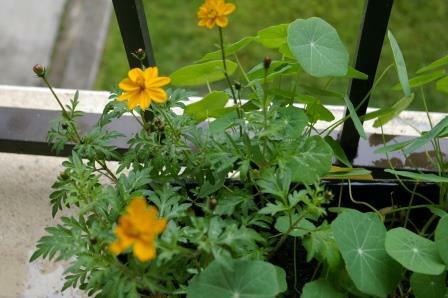 As you can see, these wild flowers are taking their time to get a good start on life on my balcony. Our weather here is mild but foggy. We had sun on Saturday but not for long. This photo is a mix which is beneficial to bees – I haven’t seen many this year in the lower western corner of the city – and is in honor of my youngest nephew whose brief life had been full of enthusiasm, wildness, a love of life and too many misunderstandings. My heart breaks when I think of him, just nine months older than my eldest. This mix seems to have some very strong contenders and many which are not having any of it. It remains to be seen what the bees will think of it once the flower blossoming begins. You may have some doubts about my gardening ability when you realize that I started these at the end of August. I showed little knowledge of the cycles of nature, right? That’s true. But as fortune will have it, all of these plants thrive and can be planted in the later part of the year — something I didn’t know when I chose them! Add to that the fact that my city has a unique micro-climate and will be very warm in the coming month of October. We may not have much of a summer (the coldest winter Mark Twain ever spent was a summer in my town) but it’s likely to be in the 80s until mid November. And if you doubt that, here is one of the many rewards of a garden of whatever size or kind. This solo visitor made a thorough exploration of each of my planters and found what he was after — the insects that put me off gardening in the first place all those years ago! Between growing, nurturing and pruning pomegranate, this plant and I have had a turbulent 15 months. At the height of spring, I held my breath when no signs of green appeared. All the rest of the garden was blooming. I am rarely hasty with my decisions to abandon the potential of success so I let it be. I can finally report my pomegranate has rewarded me with leaf buds. The main stem will need to be cut back but, otherwise, the plant has shoots coming from all angles and levels along the stem. I can see the positive results of patience and restraint. 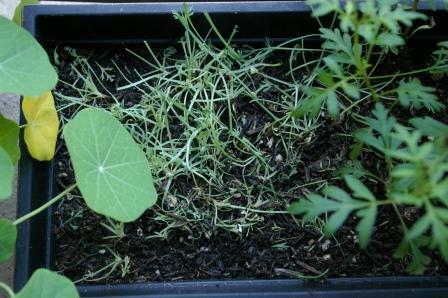 Last month, I thought I had to give it up to the compost bin and allow it to nurture some other growth in the future. This plant has the stamina and determination to survive, despite my vacillation about its worth and place in my wild, deviant garden. The pomegranate’s renewed vigor comes at the same time as the revision I am undertaking with Salsa Dancing with Pterodactyls. 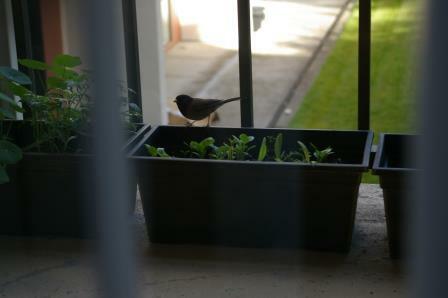 If not for persistence and diligent care, neither Salsa nor the pomegranate would be here now. Salsa has been like sculpting. Michaelangelo found his statues within the marble and released them. Within the volume of words, there is a story. I have cut and pruned, sliced and chiseled. The story has emerged from the shavings and chippings. These will need to be consigned to compost – there is nothing intrinsically wrong, they aren’t right for this book. I know the book is there and will be worth the effort – as long as I persist. When writers talk about persistence (pestering if you are a recipient parent), the pursuit of publication and/or an agent is almost always the desired goal. We all want our books to be available but where is the reader in this pursuit? What does it mean to be a “successful” writer? I didn’t consider myself a writer at all until I had one completed manuscript. I dithered and dallied, flit and forgot. Success? Still a long way to go for that. And, that will ultimately depend entirely on readers. Wait a Lonely Lifetime is in the publishing grindstone now. I have no idea where it is, what is being done to it, when I will see it again. I have a publication date a year in the future. Though I have worked in the publishing industry as a director of Honno and as an editor, the actual production of the book was of little interest to me. 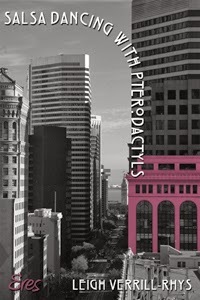 As the editor of anthologies, I had some say in the cover design and there was the proofreading but book design, Advanced Information Sheets, distribution, reviews – the nitty-gritty, get-your-hands-dirty work was the responsibility of the production and marketing staff. With Wait a Lonely Lifetime, I am at liberty to talk about the book, encourage interest, build a potential readership – as long as I don’t say too much or the wrong thing. I have also worked in marketing as a consultant, but when you’re promoting your own work, all the trade secrets make you feel you’re pushy and rude. All I can say right now is, when my book is released, I hope readers like it as much I do. After all, I didn’t write this love story to be kept in the dark under a bucket. And, when it is released, the first reader to open the cover will be one of a very few who have ever seen this story. Today, I know of only two people who have read this book: myself and my editor, Lia Brown at Avalon Books. Like my pomegranate, Wait a Lonely Lifetime has only a few admirers now, but when it is in its glory, who can tell what fruit it will bear? The natural world has a way of dealing with trash. Gardeners call it composting. Green warriors call it recycling. Publishers call it pulping. Writers call it so many different things, I can only list the a few of those I’ve heard recently: material, research, edited cuts, bits. What’s your way of dealing with the parts of your work that don’t work? What do you call your prunings? I’ve spent the past few days of sun and wind in my postage stamp of a terraced garden. My compost bin has been emptied and strewn across the flowerbeds, enriching the thin layer of soil, feeding the shrubs, covering up the recycled material of my neighbor’s cat. All of the cuttings, vegetable peelings, coffee grounds, spent tea and discarded weeds had been processed by thousands of industrious worms to make a fine contribution to over-planted beds, exhausted by the needs of a grown-from-seed Braeburn apple tree. The beauty of compost is the cycle of life. Birth, growth, procreation, death and decay, nourishment – you get the picture. All that stinking mess becomes the flower that becomes the fruit which in turn attracts the neighbor’s cat.